Climate scientists are responding to President Donald Trump’s comments on the fourth National Climate Assessment – a publicly reviewed, congressionally mandated climate assessment put together by 13 government agencies and a team of 300 experts. On Monday, Trump was asked by reporters about the assessment – specifically the economic impact – to which he replied, “I don’t believe it.” Press Secretary Sarah Sanders also dismissed the report during Tuesday’s press briefing. Katharine Hayhoe, a climate scientist, who helped author the report, responded to the Trump administration via Twitter. Climate scientists are responding to President Donald Trump’s comments on the fourth National Climate Assessment – a congressionally-mandated climate assessment put together by 13 government agencies and a team of 300 experts. The most recent assessment was released on Friday, November 23, and what it portends is dire: a potential economic cost of hundreds of billions of dollars, sea-level rise, extreme weather events, and insect-borne disease. On Monday, Trump was asked by reporters about the assessment – specifically the economic impact – to which he replied, “I don’t believe it.” He also stated that it was “important” to him to have clean air and water. He repeated these claims in a wide-ranging interview with the The Washington Post published on Tuesday. Press Secretary Sarah Sanders also dismissed the report during Tuesday’s press briefing. First, Hayhoe responded to Sanders’s, “most extreme version” comment. 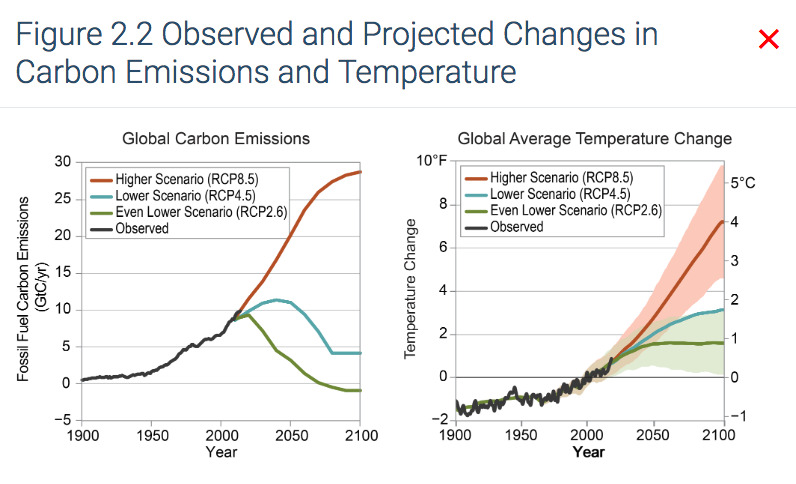 “No: the report considered a very broad range of scenarios, from one where carbon emissions go negative to one where they continue to grow,” Hayhoe tweeted citing chapter two of the report. She also goes on to point out where the report made an effort to show what the different scenarios would mean in the future. Hayhoe also states that the report was “publicly reviewed” and that “authors were required to respond to each comment individually.” Both comments and responses are available for the public to read, and she stated that there are full citations and documentation in the report. Hayhoe also responded to President Trump’s comments that he does not believe the report. Michael Mann, a professor of atmospheric science and director of the Earth System Science Center at Penn State University, echoes this sentiment. 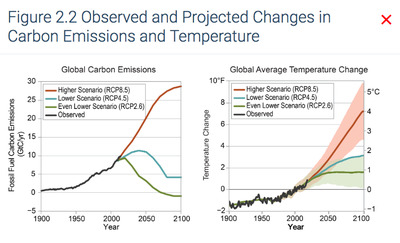 As Business Insider’s Dana Varinsky reported last week, there is some hope when it comes to adapting to and mitigating the impacts of climate change – and the report has a chapter on each response. INSIDER contacted Hayhoe for a deeper explanation on her tweets, and we’ll update if we hear back.